Dora has her life planned out. She plans to graduate early and her plans have a lot to do with her boss, someone she has a massive crush on. Things change with a phone call from home. Dora’s grandmother, the person who brought her up, has had a stroke and is in the hospital. Dora rushes home without a second thought or even a change of clothes. Seeing her grandmother, Mimi, in the hospital is incredibly upsetting and she decides to take her mind off things by trying to keep her grandmother’s shop running. Mimi has a vintage clothes shop full of select and very beautiful clothes. She has a way of selling clothes and Dora has spent years in that shop, growing up. Stepping back into Mimi’s shop brings back memories and gives her a new purpose in life. All she can think of is to keep the shop going until Mimi recovers. Having left town without even a change of clothes, Dora finds herself dressing up in the clothes that Mimi has been putting together for years. Mimi had been keeping aside clothes for Dora for years. Each dress was gorgeous, and well thought out, but Dora has avoided wearing them forever. Suddenly when circumstances push her into wearing them, she is captivated. They feel entirely right for her. Her grandmother, clearly, knew her very well. She feels like a different person in the clothes that Mimi chose for her, far far away from the persona she was at college. Or was it that she was trying hard to be someone else, when this was the person she really was? Has she been running away from what was right in front of her. 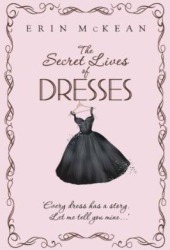 Stories that give the dresses a life of their own. Customers who buy these dresses get to take the stories with the dresses. How fascinating is that! Who wrote them? Where did they come from? Nobody seems to know. The only person who does know is lying in hospital, oblivious to everything. Will the magic of the dresses with stories sprinkle some of it’s magic into Dora’s life? You will have to read it to find out. A heart warning story, one that might seem a wee bit illogical if one tries to analyze it but all the same a lovely read. One that leaves you with that warm and fuzzy feeling… It’s a great book to curl up with for a feel good read. I would rate it a 4/5. Erin Mckean is the author of seven books. In her other avatar, she is a founder of Reverb, which makes the online dictionary Wordnik. She was previously the editor in chief of US Dictionaries for Oxford University Press and Principal Editor of The New Oxford American Dictionary, second edition. Some books jump at you from bookshelves. This was one of those. I don’t know what made me pick it up, but I did. Actually, it was probably these lines on the blurb. Cupboards were sticky from spilled jam and honey, and the oven smoked when you turned it on because of the fat that had built up over the years. Agatha would never, ever let her future home end up like this. She would never leave it every day like Ruth did. She would never put her trust in strangers. Ruth and Christian Donaldson are a busy London couple with a life that could be the envy of others. However, their marriage is falling apart, their two children, five year old daughter, Betty, wouldn’t sleep and three year old son Hal. Everything seems to be a mess. Ruth is at her wits end trying to balance work and life. Her guilt over choosing to work surfaces now and again. Until Agatha, or Aggie, their new nanny steps in. Aggie seems to be an angel in disguise. She seems to have changed their lives ever since she arrived. The kids adore her, she seemedto have taken control over everything in minutes. She seems the answer to all their problems but why is it that Ruth is feeling so uncomfortable. Something isn’t quite right about Agatha. We as readers start to understand what is wrong, while Ruth struggles to figure out in the middle of everything else that is happening in her life. 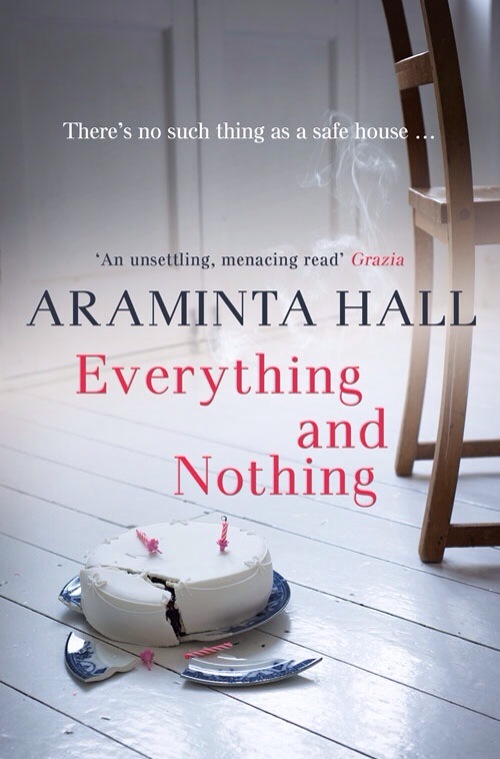 The blurb calls it a psychological thriller and it certainly fits the bill. It is scary and yet completely believable. People with ordinary lives, dysfunctional at some levels, struggling to make things work out. Agatha, is probably any mum’s worst nightmare. The person you trust with your children can easily be the most dangerous of people. And dangerous in a way that is difficult to come to terms with. It was an interesting read. An absolute page turner. Ruth and Christian are believable characters, flawed but believable. Agatha was a character who was confusing and as the story progresses, her motivations and her state of mind becomes clearer. The characters are well defined, and story is fast paced and gripping. It grabs you from the start and doesn’t let go till the very end. I would rate it a 4/5. Araminta Hall began her career in journalism as a staff writer on teen magazine Bliss, becoming Health and Beauty editor of New Woman. On her way, she wrote regular features for the Mirror’s Saturday supplement and ghost-wrote the super-model Caprice’s column. Another Bindu recommended book, another book, I might not have come across otherwise. Have I said before how much I’ve come to rely on you guys to recommend fantastic books? There was a time I would scour New York Times best best seller list and other such lists in search of books. No longer. These days, I don’t need to do any searching anymore. What I do have is an overflowing list of books to be read. Not that I am complaining. Set in the 60s, when America was still coming to terms with the racial equation, new laws and ordinances had little meaning when it came to what went on in little towns. Lily Owens, has just turned fourteen. She lives with an abusive father and memories of her long dead mother. Lily has grown up with demons of her own. She killed her mother, accidentaly and feels that she is unlovable, given the way her father treats her. Circumstances force her to run away with Rosaleen, the woman who has been cleaning and cooking for them, and who also comes closest to a mother figure. Lily and Rosaleen land up at August W’s doors, led by a picture of a Black Virgin Mary that she found in her mother’s belongings. August has a flourishing honey business, and is a dedicated bee Keeper. As Lily lives and works with August, and learns all about the secret life of bees, she also learns a bit about life as well. This was a book that I read without any expectation. It had been a while since I read Bindu’s review and did not know what to expect. It grabbed me, right from the start. There was a lot going on, Lily’s confusion, the racism that was so rampant in America of the 60s, August, and her sisters and their lives, but if there was a central thread to the book, it would be mothers. Be it Lily’s mother or her realization about the truth about mothers. It was a wonderful read. A book I will happily re-read. A comfortable book, even when it is addressing tough and rather uncomfortable issues. A book that actually makes you believe that some honey can indeed set the world right. A book I would happily recommend. Sue Monk Kidd was raised in the small town of Sylvester, Georgia. She graduated from Texas Christian University in 1970 and later took creative writing courses at Emory University and Anderson College, as well as studying at Sewanee, Bread Loaf, and other writers’ conferences. 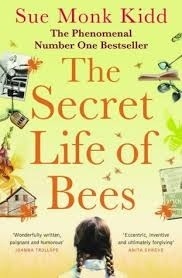 The Secret Life of Bees, her first book, was published by Viking in 2002, it became a genuine literary phenomenon, spending more than 2½ years on the New York Times bestseller list. It has been translated into 36 languages and sold more than 6 million copies in the U.S. and 8 million copies worldwide. A book I picked up with no expectations at all, during my lunch time library run. It was shelved in the ‘Book Club’ picks and those have always appealed to me. So I picked it up, and forgot all about it, until I saw it on my book shelf and decided to give it a go. Reading the extract at the back, I was rather disappointed to see that it was all about vampires. Not something that hugely appealed to me. I don’t read that sort of stuff, you know. The closest I came to them was a movie of that hugely popular vampire series, but definitely not something I would want to read. But then this was the only book that was available, and I didn’t want to read on the Kindle, so decided to plough on, not actually looking forward to it. 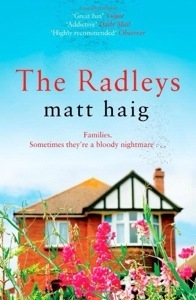 The Radleys are your regular neighbours. Living in a regular English village, in a nice house, with a very common people’s carrier as their car. Nothing out of the ordinary, nothing about them stands out but if you look closely, you might notice things which are a little amiss. There are no birds chirping near their house, and they keep their blinds dran most of the time, for instance. Because though they have been trying hard to lead a regular life, they are vampires. But they are abstainers, vampires who avoid blood. They live their life as normally as they can, but their skins are just not suited to be out in the daylight, so they have to stay covered in suncream, and have to work hard to keep inconspicous. It is not always easy though. Helen and Peter have been raising their children, Rowan and Clara, to lead what they consider a normal life, and the children have no idea about the truth. They do know that they are different, and their friends consider them freaks because of their pale skin and outward appearance, but they have no idea how different they actually are. Things change in an instant when Clara is attacked on her way home from a party. Peter and Helen are forced to confront the truth of their existence and explain to Rowan and Clara all that they had kept hidden for so long. A fascinating book. Once I started reading it, I found myself unable to stop. It was gripping and so very different from what I expected. It also made me wonder if it could possibly be true. The way the author handles the subject makes it so plausible. The ending was rather tame, after all the exciting things that happen in the book, I have to say, but satisfactory. I am not sure if I would still pick up vampire books intentionally, but I have to say that I sure enjoyed this one.